For the Business Owners. Lost power means lost revenues. In some cases, though, it could mean irreparable damage to your brand’s reputation. It means interruption to your mission critical loads resulting in potentially catastrophic outcomes. No matter your business need, Generac’s business is protecting yours—from the damage of power outages. 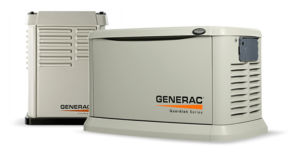 From legally required backup power systems to those that simply help you get an edge on your competitors, you can rely upon Generac standby generators to protect your bottom line. Eastern Telephone & Technologies is an Authorized Generac Dealer with highly trained and skilled Generac Certified Installers and Generac Certified Maintenance Technicians. Allow us to design and quote a standby power system that will meet your needs.